Find a great sale price on this 2017 Nissan Maxima SL 3.5L at Campbell Nissan of Everett in Washington. 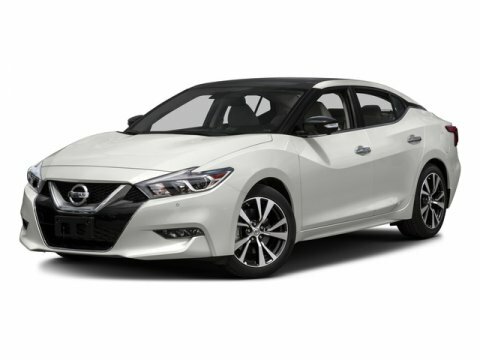 This 2017 Nissan Maxima is located at our Nissan dealership in Everett. We also serve the cities of Seattle, Marysville, and Lynnwood. So if you're looking for a great price on this 2017 Nissan Maxima SL 3.5L or just looking to get an auto loan for the vehicle you want... you've come to the right place! Campbell Nissan of Everett. CARFAX One-Owner. Certified. Backup Camera, Blind-Spot Warning, Bluetooth, Hands-Free, CarFax Accident Free, CarFax (1) Owner, CarFax Buy Back Guranteed, Completely Inspected and Reconditioned, Bose Premium Sound, Front & Rear Curtian Air Bags, Front and Rear Parking Sensors, Heated Seats, Heated Steering Wheel, LED Headlamps, Keyless Entry, Leather Seats, Portable Audio Connection, Premium Audio, Premium Wheels, Remote Start, SiriusXM Satellite, Steering Wheel Controls, Vehicle Dynamic Control. Nissan Certified Pre-Owned means you not only get the reassurance of up to a 7yr/100,000 mile Warranty, but also a 167-point comprehensive inspection, 24/7 roadside assistance, trip-interruption services, 50% or greater tire tread, 2 Intelligent Keys and a complete CARFAX vehicle history report. Nissan Maxima 3.5 SL Gun Metallic Odometer is 8568 miles below market average! 21/30 City/Highway MPG Nissan Certified Pre-Owned Details: * Transferable Warranty (between private parties) * 167 Point Inspection * Vehicle History * Limited Warranty: 84 Month/100,000 Mile (whichever comes first) from original in-service date * Warranty Deductible: $50 * Roadside Assistance * Includes Car Rental and Trip Interruption Reimbursement We specialize in affordable CPO (Certified Pre-Owned) New and Used vehicles with an excellent selection for you to choose from. We provide great service, great prices and a great experience as proven by our excellent customer ratings, Dealer Rater 4.7 stars, Google 4.5 stars, 4.5 stars on Cargurus.com, Facebook 4.3 and yelp 4. We are non-pushy, genuine and honest The Campbell s are third generation owner operator local dealers. Proudly serving Mukilteo, Lynnwood, Everett, Shoreline, Seattle, Monroe and Snohomish and the surrounding areas of Washington since 1991.